SERVPRO of Calgary South is honoured to have had the pleasure to be a household name in the Calgary area since 1967. We continue to serve Calgary and the surrounding area every day. 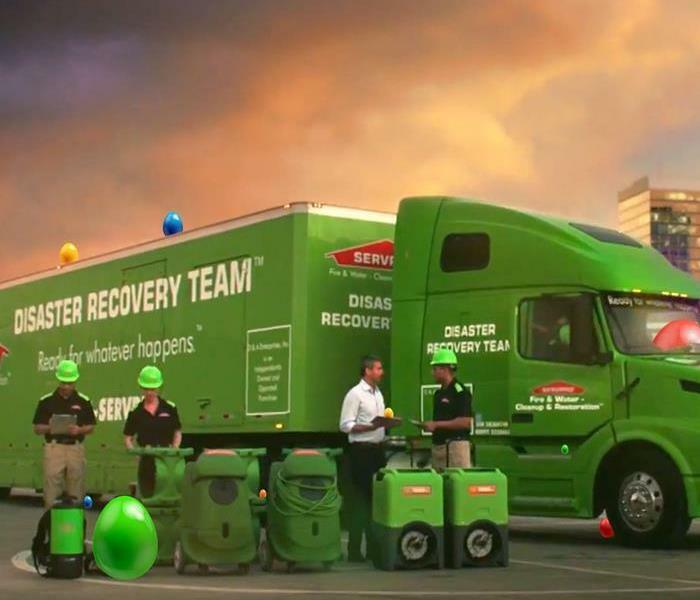 SERVPRO of Calgary South provides 24/7 emergency services and is dedicated to being faster to any size disaster. Our highly trained and certified technicians can respond immediately to your residential or commercial emergency. Our team can handle a variety of disasters from Water Damage, Fire Damage, Mould Remediation, Storm Damage and more for both residential and commercial properties. After a disaster strikes, no matter the size, SERVPRO of Calgary South will work with you to make your property look like it never even happened! SERVPRO of Calgary South is locally owned and operated—so we’re a part of this community too. We are also part of a national network of over 1,700 Franchises, which enables us to respond quicker with more resources. For major storms and disasters, we can call upon special Disaster Recovery Teams strategically located throughout the country. SERVPRO of Calgary South proudly serves Calgary and surrounding areas. Our friends at Process Color do a beautiful job with our new vehicle wrap!